Get a copy now and you'll get a steam copy! Pellentesque malesuada fringilla massa sit amet faucibus. Sed vel imperdiet felis. Cras vel venenatis lectus, vel volutpat nulla. Pellentesque sollicitudin nisi quam, ut pulvinar nibh viverra nec. Phasellus malesuada mi quis nisi. Vivamus id justo at eros suscipit cursus ac ac quam. Quisque adipiscing blandit ipsum suscipit iaculis. Nulla congue nibh ac massa rutrum, id vestibulum nisl adipiscing. Nullam varius varius urna, sed gravida arcu feugiat non. Sed lacinia at mauris vitae semper. 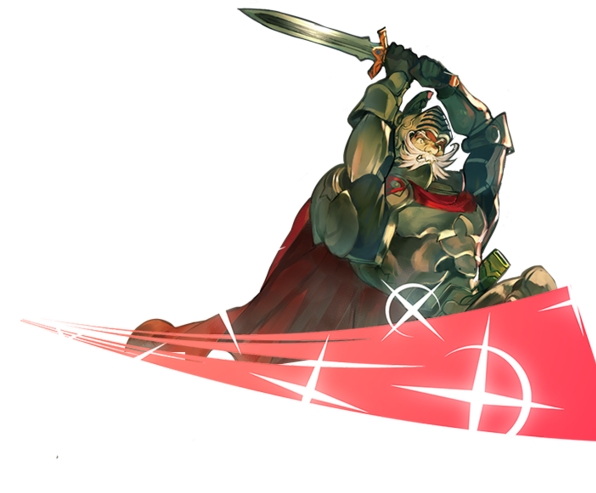 You can even test out a browser game made in MV right now, HERE! *Note: Game quality will depend on server traffic and your internet connection. If you get an error just refresh the page. the greatest RPG Maker ever released. Yanfly Engine 'P' and Luna Engine Lite! 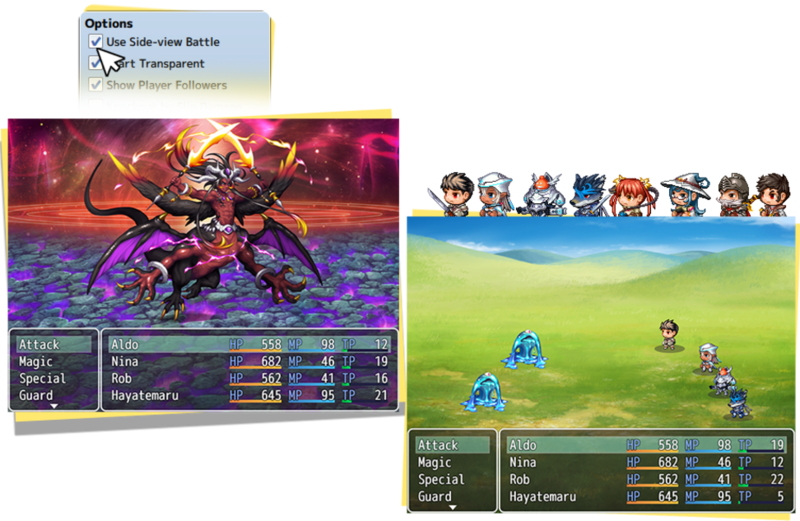 With a tick of a box, you can decide whether your game will use the classic Front View Battle to a Side View Battle system. resources for you to use in your game. for you to add even more! STARTED MAKING YOUR DREAM GAME! For the first time in RPG Maker history, we are releasing an official set of resource pack for the cover art characters. Character Sprites, Facesets and even Battle sprites! You can't go wrong with this set. 37+ Plugins made by some of the most respected RPG Maker scripters in the community such as Yanfly, Yami, Galenmereth and Neonblack. But wait, there's more! You will receive an Ace to MV Project Converter by Shaz to make transitioning from Ace to MV even easier! You can see a preview of all the plugins over here! All Plugins are free for commercial use and will be distributed by default with the program. *Scripts can NOT be converted due to language differences. 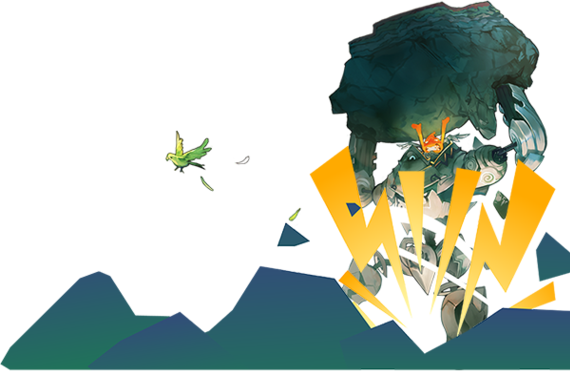 *Tirawrmisu by BunWolf Games. Made in Ace and converted to MV for test purposes. 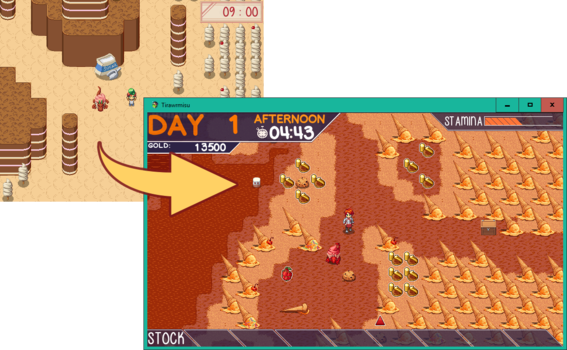 Ready to take your RPG Maker MV project a step further? 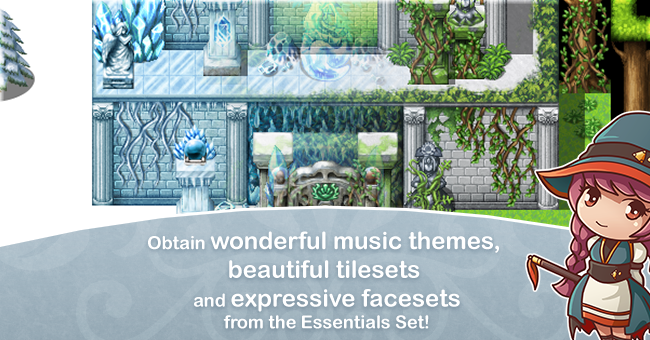 The Essentials set is a great place to get started! With beautiful graphics created by the Degica art team, and music composed by indie game music virtuoso, Murray Atkinson, this pack will give you plenty of extra variety to make your dream game. GET 10% OFF AND EXTRA FREEBIES! 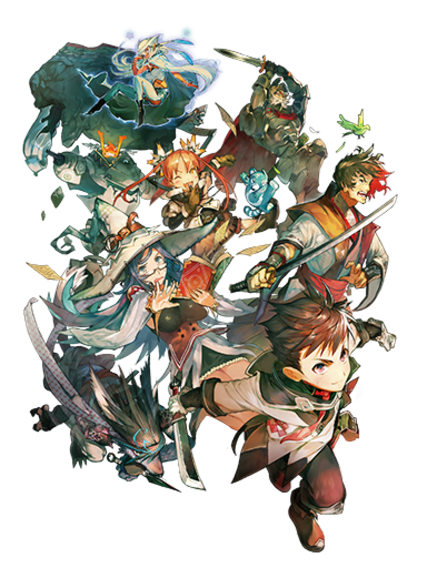 Excited for RPG Maker MV? 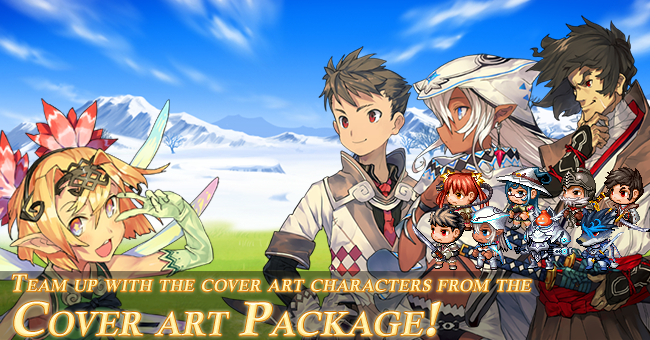 Get updated with the latest RPGMaker News by subscribing to our newsletter! 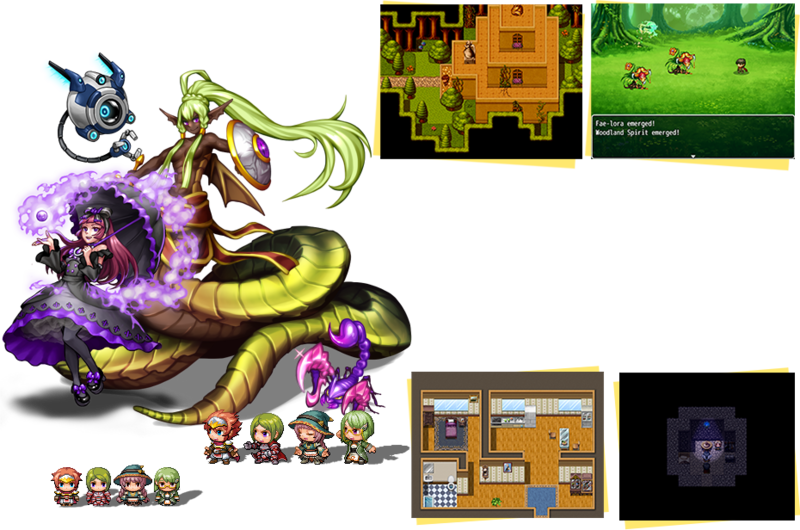 Find out about RPGMaker MV's Release Date, Resource Packs, Promos and More!